Estimated to be finished Mid June. 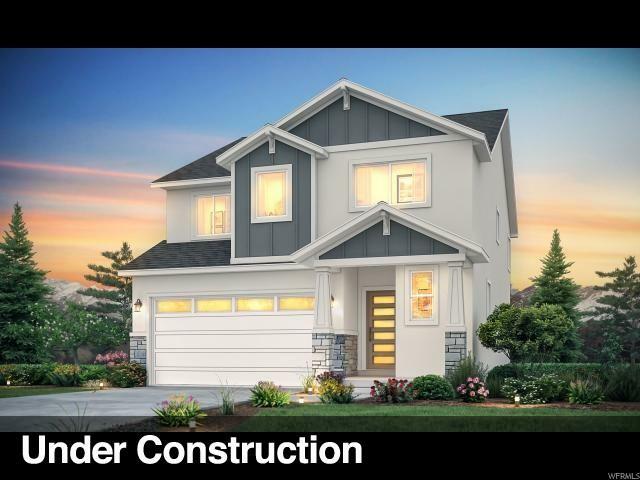 You'll love this stunning 2-story ASPEN floor plan with 3 bedrooms, 2.5 baths and a extra deep 2 car garage. Enjoy 2,988 total sq. 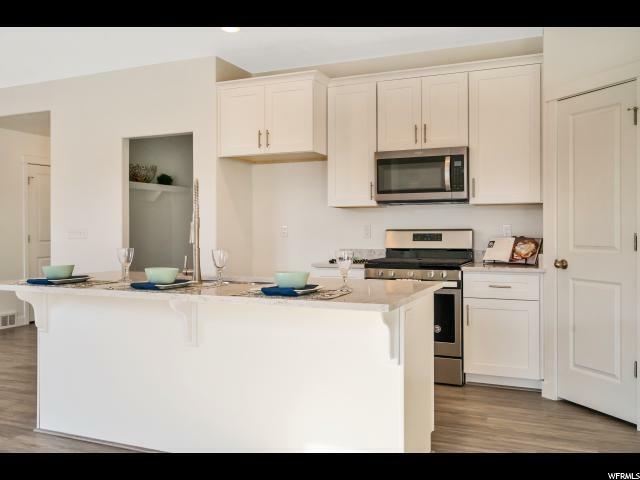 ft. of spacious elegance and a modern gourmet kitchen. The main floor has a large family room with tons of usable space. The second floor boasts 3 bedrooms, an oversized laundry room, and spacious loft for a game room or office. The master bedroom features a large walk-in closet, grand master bath with a corner soaker tub, a separate walk-in shower, and double sinks. 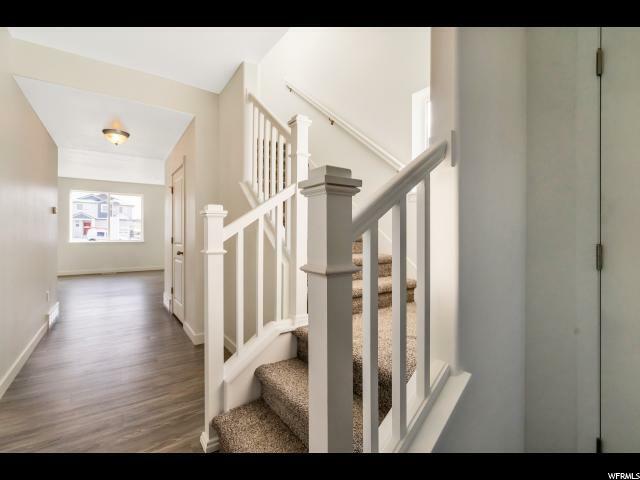 This home is loaded with many included upgrades, such as, 9 foot ceilings, white soft-close cabinets w/ 42inch uppers, quartz countertops, stainless steel appliances with gas range, painted stair railings, PVC water proof flooring and much, much more. The front, side and back yards will be completely landscaped in the spring. Includes a 2yr Limited Warranty. This is a Spec home so you can get a brand new house without waiting 8 months! Photos are taken from the same floor plan of an existing Aspen style home. Estimated completion dates are subject to change. Buyer and Buyer's Broker to verify all. 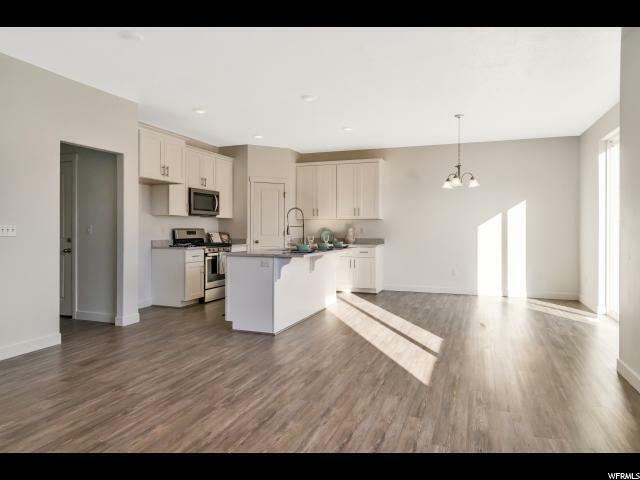 Model Home Address 1022 W Coyote Gulch Way Bluffdale, UT. MODEL HOME HOURS: Monday - Friday 12-6pm and Sat 11-5pm . Interior Features Bath: Master Bath: Sep. Tub/Shower Dishwasher: Built-In Oven: Gas Range: Gas Range/Oven: Free Stdng.